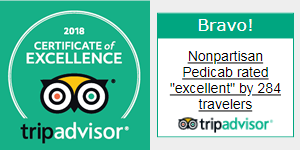 Don’t worry about your trip! 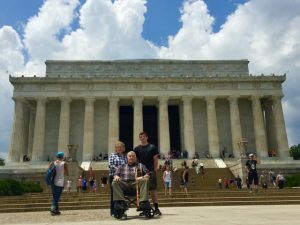 Get the best insider tips on Things to Do in DC with Limited Mobility. 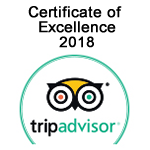 Armed with a small bit of information, your visit will be easy and accessible. 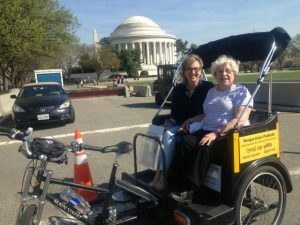 Touring Washington DC with Elderly Visitors is now as easy as can be. 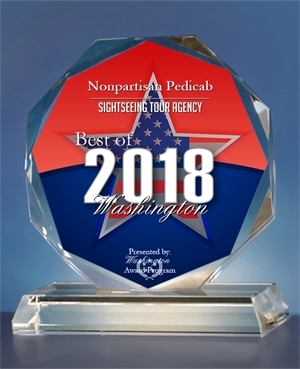 A private tour with Nonpartisan Pedicab gets you right up to all the monuments. You can see all the monuments in about 3 hours. If you have limited mobility, this tour will greatly reduce the amount you need to walk.